How to make a Low Calorie, High Flavor Chili. 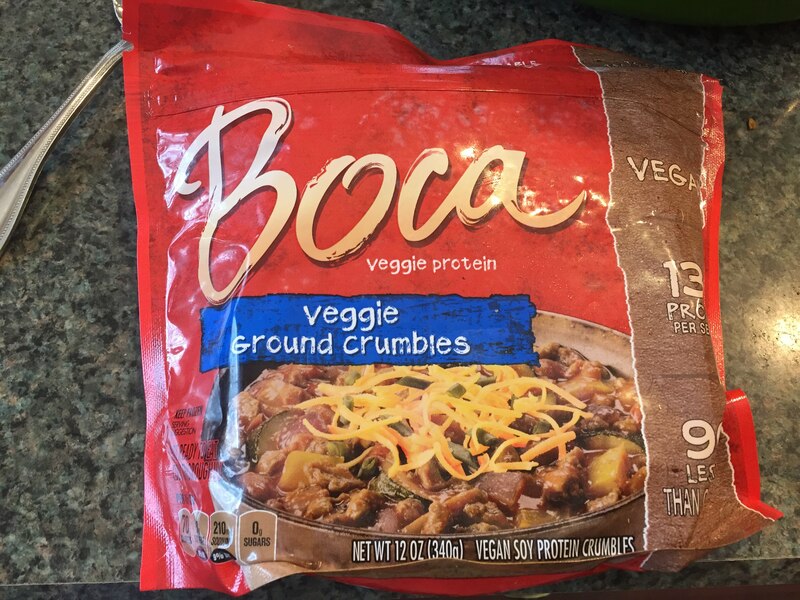 You can also make this a vegan chili if you remove the Campbell’s Chunky Chili from the ingredients. Step 1: Saute the green pepper and sweet onion in 3 tablespoons of vegetable oil. Once they start to soften up, add about a tablespoon of chopped jalapeno peppers, ½ cup of water and 1 packet of the chili mix. Saute for a little longer letting all the ingredients mix and making sure the green peppers soften. Step2: Add 2 tablespoons of the Fresh Salsa and the Boca Veggie Crumbles. Let this cook heating all the veggie crumples, If necessary you may need to add another ½ cup of water. Let simmer for 5 to 6 minutes. 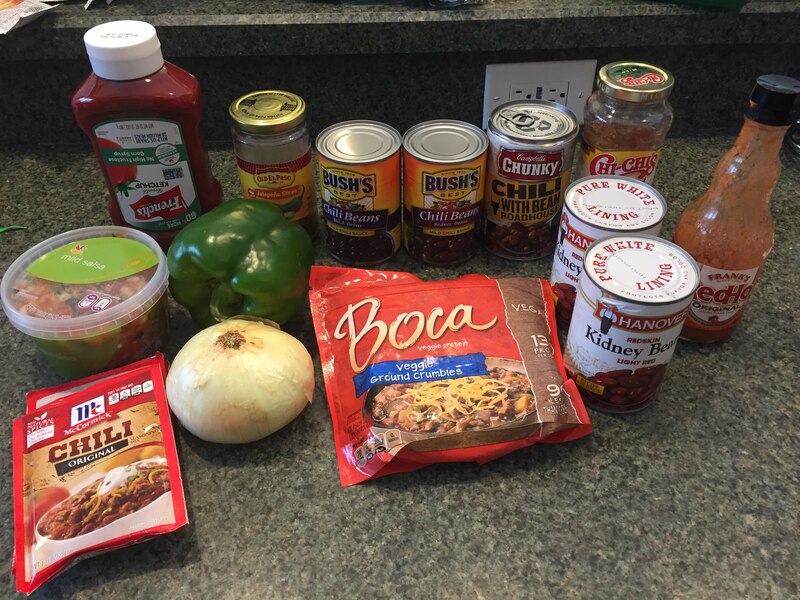 Step 3: Add the Campbell’s chunky roadhouse chili with beans. 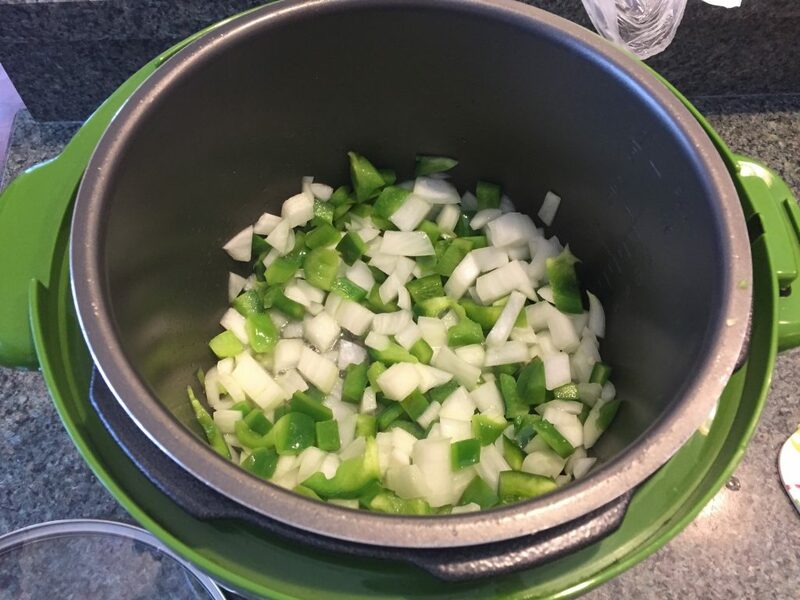 (Note: This is the only source of meat for the chili, so if your looking for a vegan or vegetarian chili, you can skip this step. 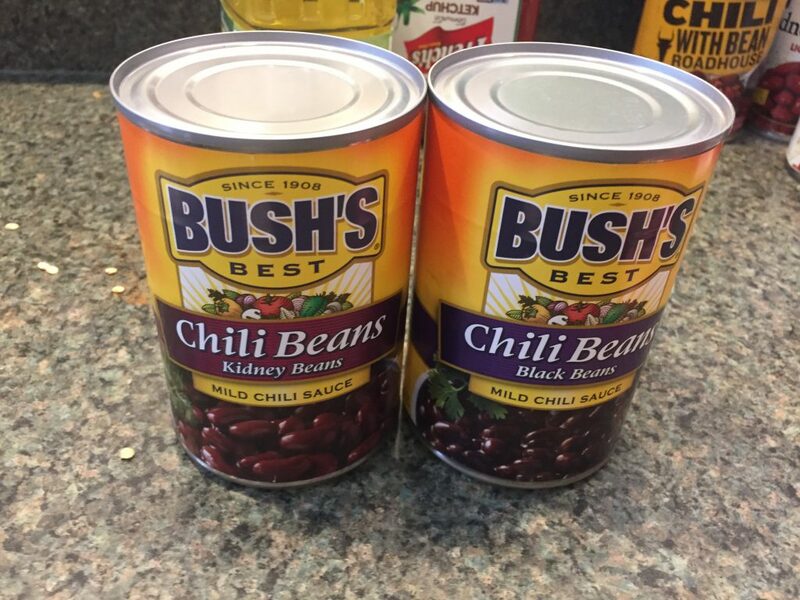 Next add the 2 cans of Bush chili beans in mild chili sauce (one kidney beans and one black beans). Let simmer until it comes back up to temperature. Step 4: Add one or two cans of the regular kidney beans depending on your preference and another packet of chili mix. 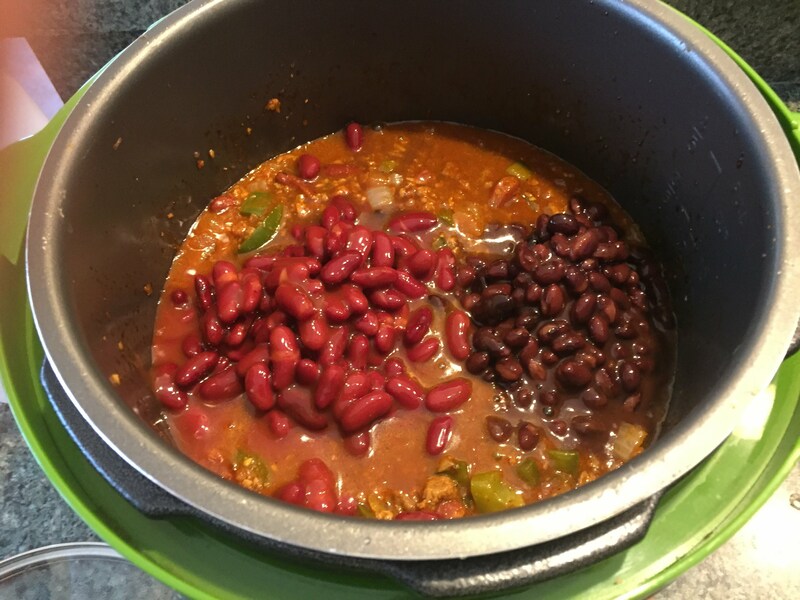 I added just one can, but if you like a lot of beans, then add two, lightly draining them, you want some of that kidney bean juice. Add 2 big squirts of ketchup and a few shakes of McCormick’s Chili Powder and let it come back up to a simmer. Let it simmer in a crock pot for 2 hours. Add hot sauce to your taste, but ry it before you add hot sauce. It might be spicy enough already. When serving, I like to add a few cut up scallions and some taco cheese on my bowl. Next Post: What Can I Actually Tow?